The AmD with Cobra Exhausts team will hope to produce an improved qualifying performance this weekend at Oulton Park as it seeks to add to it’s points tally in the Dunlop MSA British Touring Car Championship. The West Thurrock-based team makes the long trip north to Cheshire looking to try and return to the kind of form that saw it bring home strong points in the opening round of the year at Brands Hatch. Since then, misfortune at Donington Park and Thruxton prevented the Audi squad from adding to it’s tally – something it will hope to put right at a circuit where the S3 displayed strong pace twelve months ago. Tamworth-based Ollie heads for Oulton Park keen to put the disappointment of Thruxton – where he was well placed to score in race three before suffering a puncture – firmly behind him. Twelve months ago he was able to score points in the opening race of the weekend at the picturesque circuit and was one of the fastest drivers on track in the remaining two races as he battled back through the field after being tipped into a spin on the opening lap of race two. With a car that has been greatly improved compared to last year – when he felt the Audi was the best it had ever been – a return to the points is very much the aim, with the first target being to try and qualify higher up the grid to give himself the best chance of success on race day. 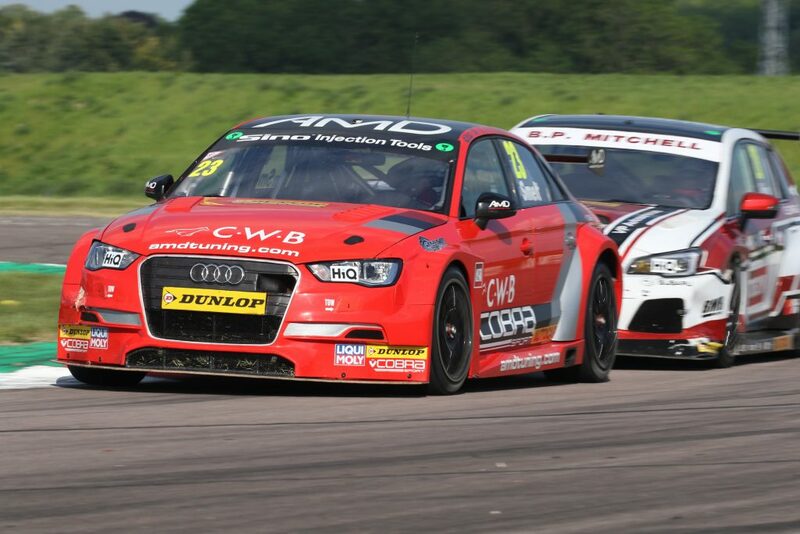 Like Ollie, Nottingham-based team-mate Sam Smelt will be seeking to rebound from a tough weekend at Thruxton as he continues his BTCC education at the wheel of the second Audi. The series rookie has his sights firmly fixed on trying to bring home his best result to date at a circuit where he has completed plenty of running during his time in the VW Racing Cup. “I feel in confident mood going to Oulton Park this weekend. It’s the circuit where I started to work with my current engineer Stuart last year, so it will be the first time we’ve gone to a track having worked together and I feel that will put us in a stronger position from the moment we hit the circuit. “The last few rounds have been tough in terms of trying to add points to our tally and I think a lot of that has been down to qualifying. We’ve shown we have good race pace but have been starting too far back and it has hurt our chances of scoring on race day. “Thruxton was a hard weekend for me and I’m keen to now put that one behind me and focus on what is to come at Oulton Park. I’m really looking forward to it and I’m feeling quite confident about having a good weekend to build on the progress I was making in the first two rounds of the year. “Oulton Park is probably one of the circuits where I’ve done the most laps in the past from my time in the VW Cup, albeit on the full circuit, and it’s a track that I really enjoy driving. 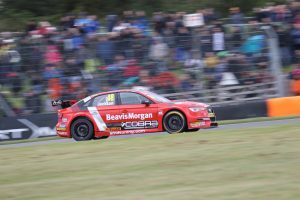 “We’ve had a few tough rounds with the Audis but we are keen to put those behind and head to Oulton Park feeling optimistic about what we can achieve. It’s a circuit where the car showed strong pace last year and where we picked up some points, and I see no reason why we can’t do it again this time around.